T-shirts are the best casual outfits, most comfortable and relaxing, so T-shirt fashion has been introduced with lots of summer t-shirt collection. With t-shirt photo frame, it’s quite easy to change your profile pic. With more than 30 t-shirts, you will not run out of options and we are adding to this collection every day. Summer t-shirts are cool and comfy and now you can try them on yourself from your phone anywhere, anytime. 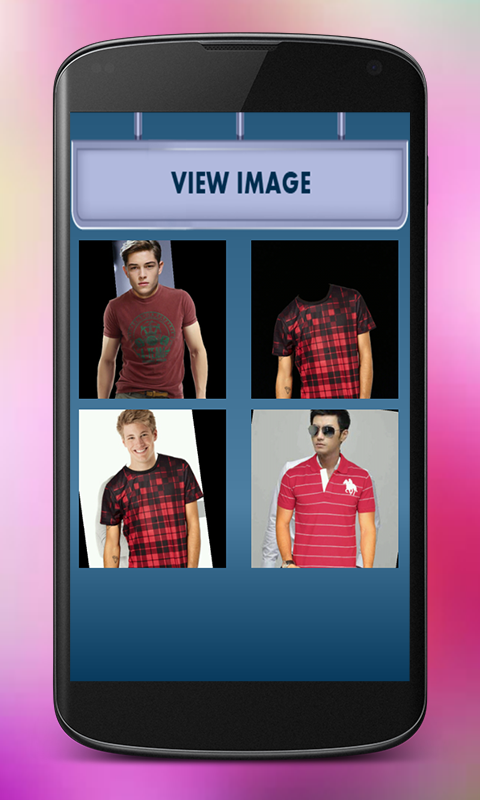 Photo t-shirt editor app has more than 100+ t-shirts design of different colors from which you can choose the best man t-shirt fashion and try on your selfie virtually and can save the edited image and share it on Facebook. ⛄ Open t-shirt fashion suit for man. ⛄ Select any t-shirt from the huge collection of t-shirts. ⛄ Browser your pic from the gallery or capture selfie from the camera. 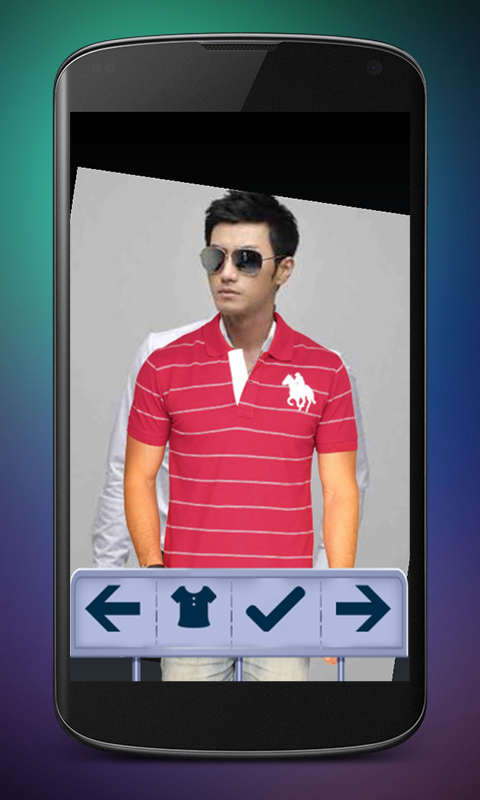 ⛄ Fit your pic with the t-shirt by through resize options. ⛄ Photo effects can be applied. ⛄ Warmth, sharpness, brightness, etc can be adjusted. ⛄ Save t-shirt fashion suit on your SD card. ⛄ Share edited pic directly on social networks. When to use this t-shirt photo suit? ⛄ When you are getting frustrated. ⛄ Add your photo from gallery or capture image. ⛄ With beautiful and lovely graphics of T-shirts. ⛄ Easy to use and understand. ⛄ Save your framed photos into your android SD card. ⛄ Share your creation over the social network. 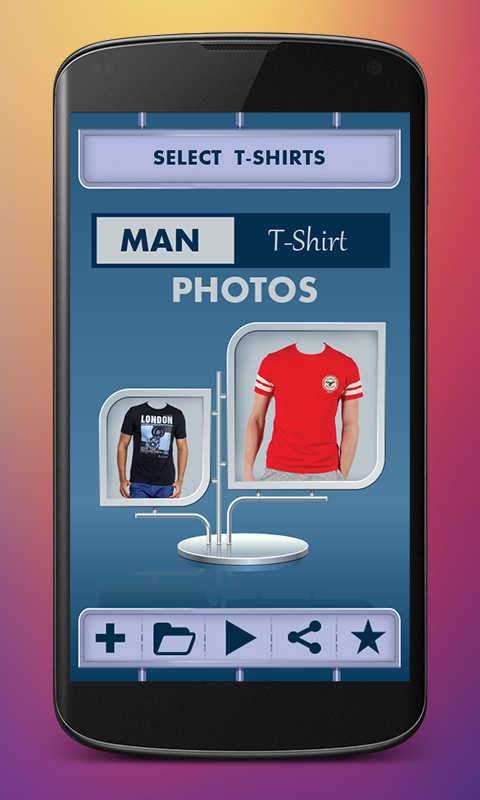 Download the Men T-Shirt Photo Suit app now.